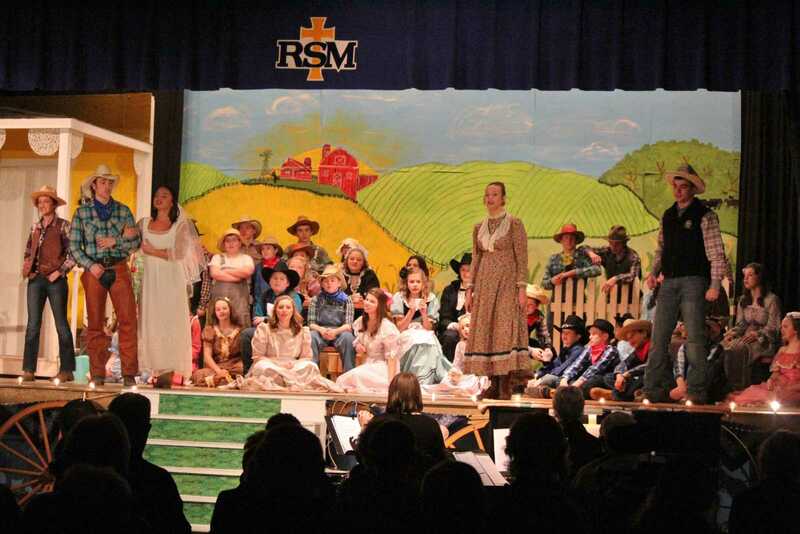 By: RSM Journalism Remsen St. Mary’s put on another fantastic musical on March 22 to March 25. 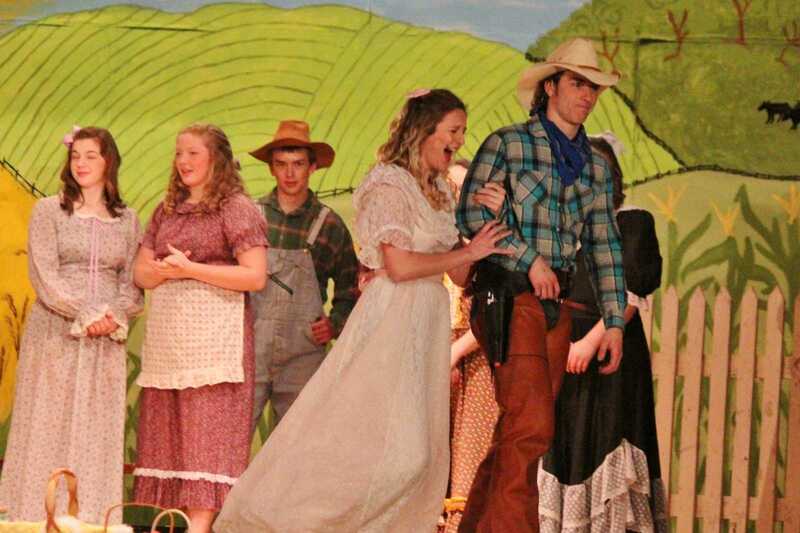 This year the group performed the play Oklahoma! Veda Pick played farm girl Laurey Williams who was being courted by two rival suitors, cowboy Curly McLain played by David Grady and the sinister and frightening farmhand Jud Fry, played by Zach Ruden. “I had to play a creepy and unhappy dud named Jud which is very hard for me to portray,” said Zach Ruden. 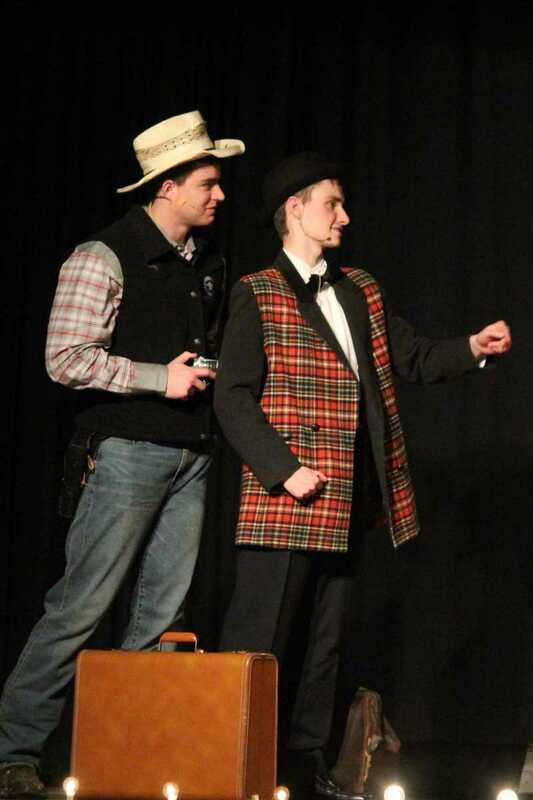 “I had to try to be mad at people to do it.” A secondary story told of the romance troubles of Ado Annie played by Sydney Schorg as she chose between cowboy Will Parker played by Wyatt Staab and a travelling salesman played by Shay Galles. 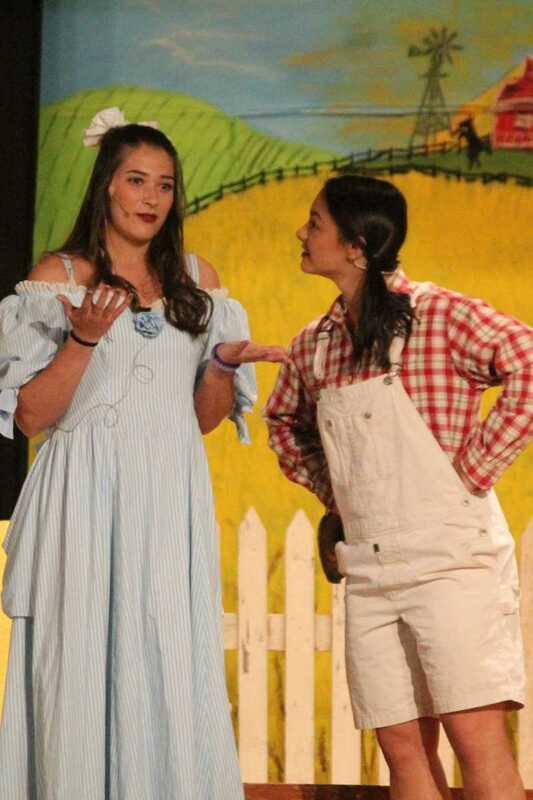 “My favorite scene was when Wyatt and Sydney did the Oklahoma hello because we never knew if it would go well,” said Kaylee Galles. They were joined on stage by a wide array of interesting characters. “It was difficult to talk like a guy. 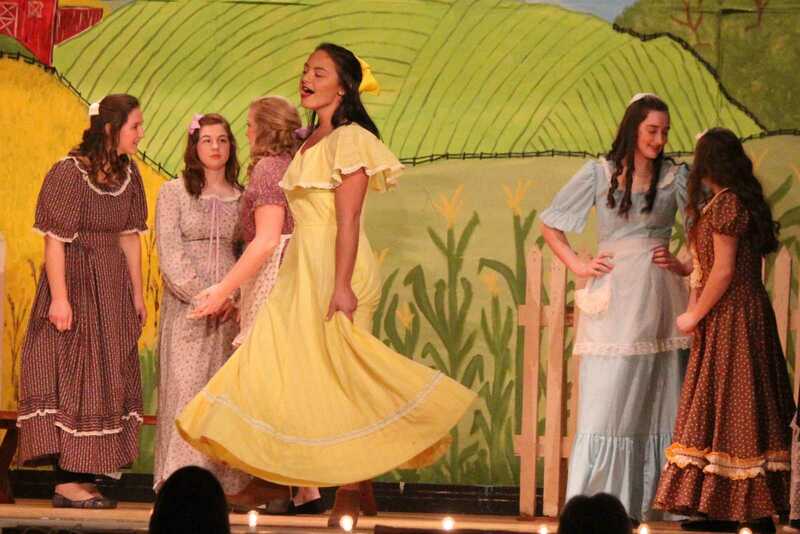 It was even more difficult to sing like a guy,” said Miranda Loutch who played the role of a male farm hand. The group had to put in long hours, pulling the musical together in just a few weeks’ time and working around sports and other after-school activities. The students put in a lot of hard work to get everything just perfect. “I couldn’t get down my auction scene lines, but then on the night before our first performance, we went over that scene three times, so I couldn’t forget my lines,” said Abigail Tentinger. The musical featured several song and dance numbers. 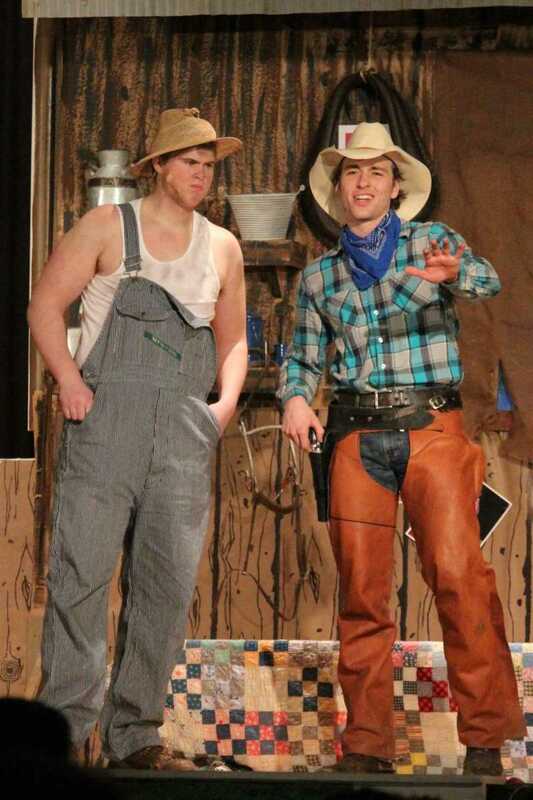 “My favorite scene was the cowman and the farmer should be friends dance. I thought it was fun and a good song,” said Hannah Harpenau. It also had a couple very realistic fight scenes. 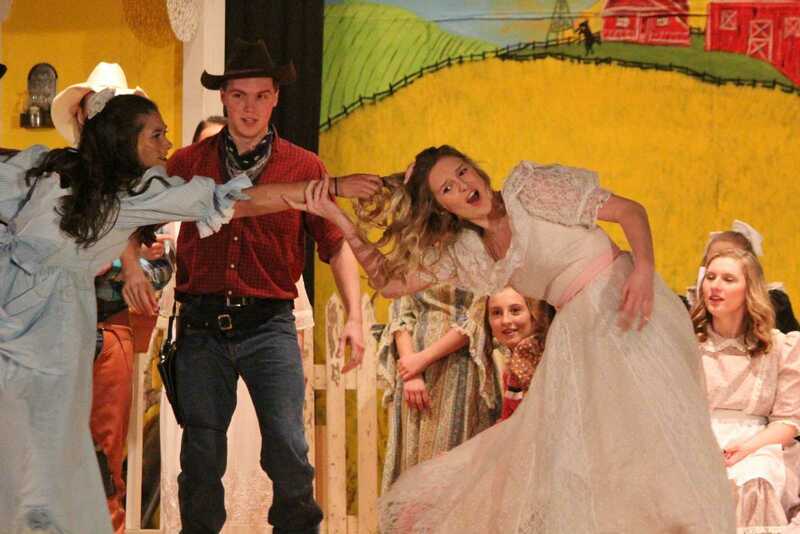 “The Farmer and the Cowman was my favorite part, said Carly Ortmann, “When everyone starts fighting, Lexie Delperdang and I huddled in the corner while all the boys were flying everywhere.” The musical came together in the end though, and everyone had a great time both cast and audience alike. Oklahoma! was a fantastic production that will raise the bar for next year’s performance. Everyone gathers together for a wedding between Veda Pick and David Grady. 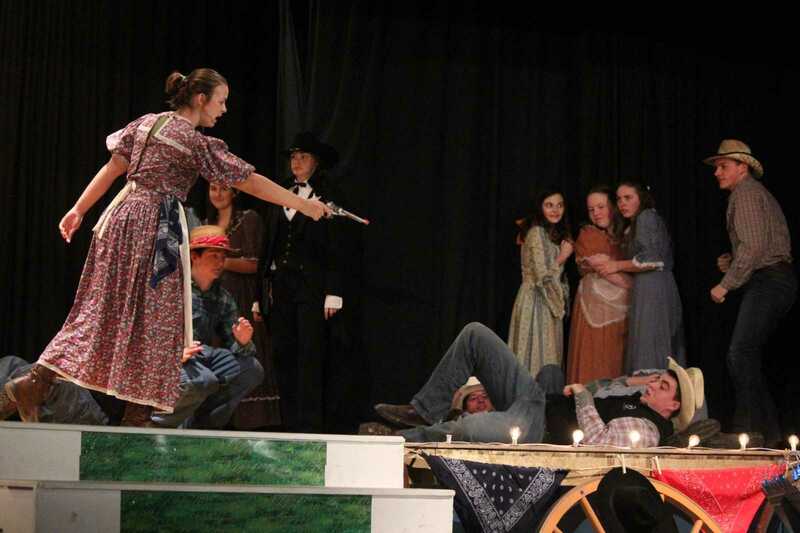 Abby Tentinger as Aunt Eller teaches the cowboys and farmers to be friends with the barrel of a gun. Brett Galles forces Shay Galles to bid higher on his daughter's picnic basket after he professed his "love"Â� to her. 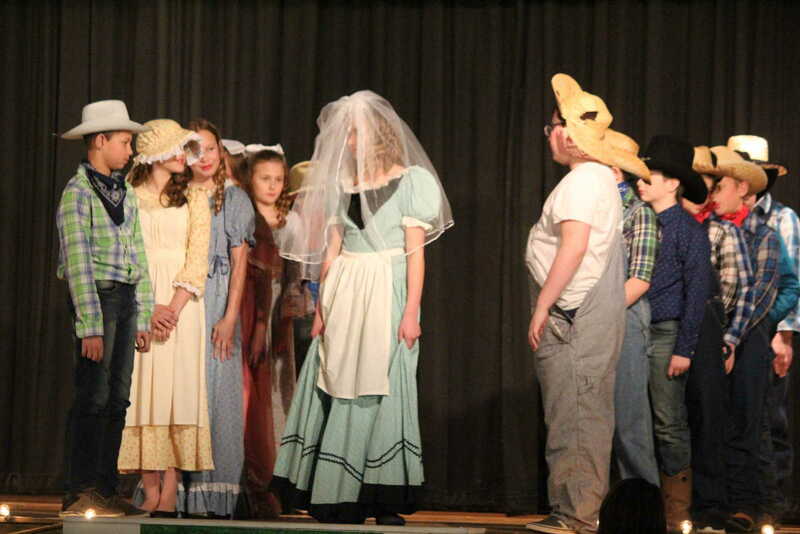 The fifth grade perform a dream sequence as Laurey Williams struggles to choose between Curly and Jud. 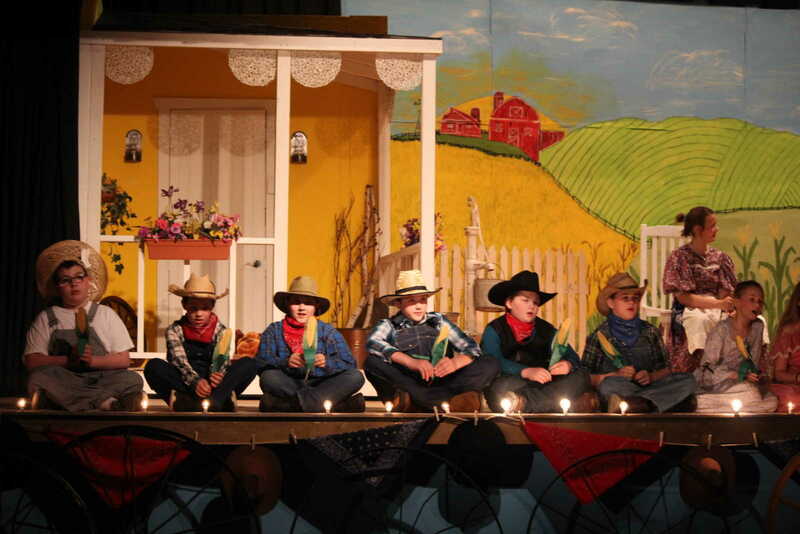 The fifth grade boys join the actors on stage to sing "What a beautiful morning"Â�. As Brooklyn Frederes laughs, David Grady realizes he made a mistake by asking her to the dance with him. 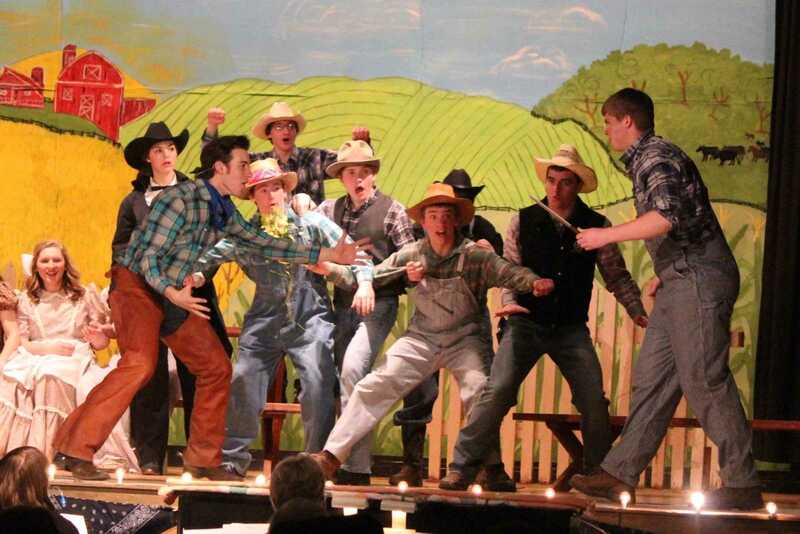 The freshmen boys and other farmhands react as Zach Ruden pulls a knife on David Grady. Shay Galles helps Wyatt Staab earn enough money to by his fiance's hand in marriage. 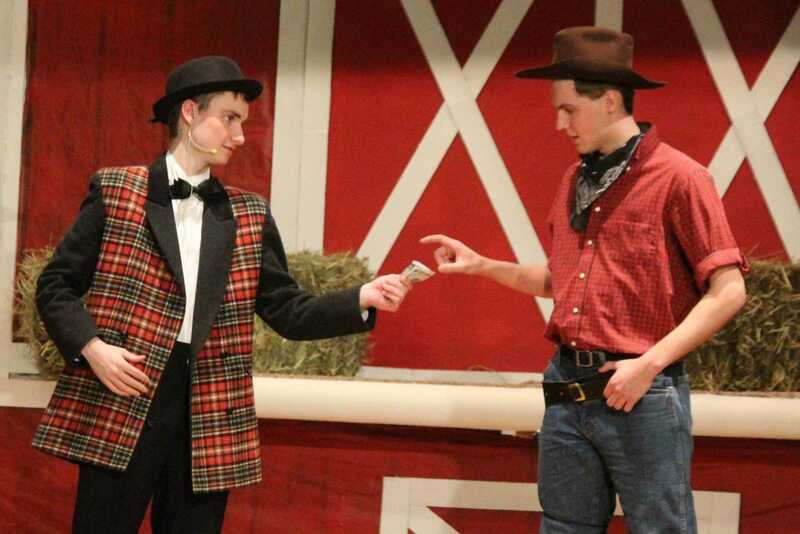 David Grady sings "Poor Jud is Dead"Â� to Zach Ruden, just to mess with him. Sydney Schorg and Brooklyn Frederes fight over Wyatt Staab. Sydney Schorg gets advice from Veda Pick on how to say no to boys. Veda Pick sings as she realizes that she is falling in love.